Christopher Green designed the QD Syringe’s tip with Glyflo Technology™ with a noncoring tip and bilateral fluid flow channels. 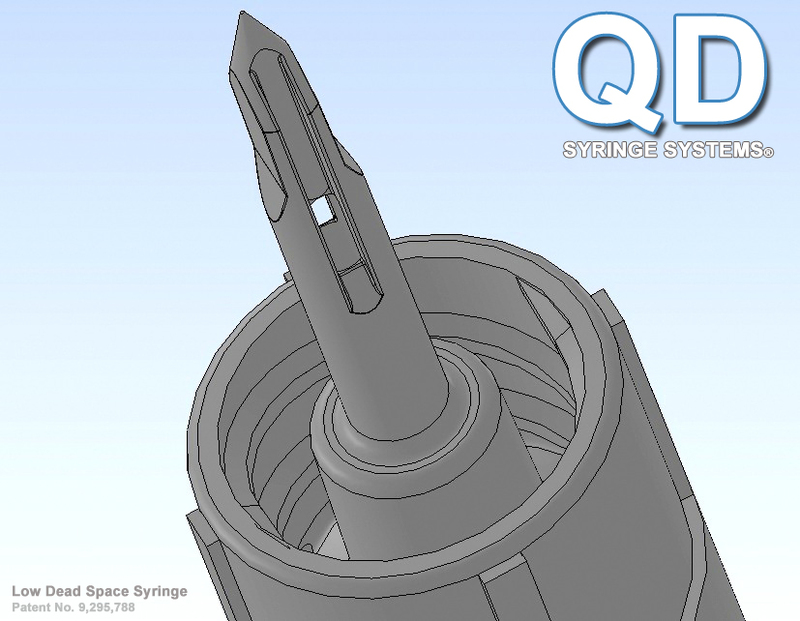 This new design also greatly reduces the risks of needle sticks by medical professionals (no more detachable draw needles), reduces the spread of infectious diseases, and saves tremendously on medication waste with its low residual volume design and guarantees delivering a less painful injection to the patient. Although there are several low dead space syringes, none of them are functional without a separate draw needle and injection needle. They are still dependent on a draw needle. This wastes million of dollars annually.